Arnd WOLFRAM was born in Neuilly-sur-Seine/i Paris. He is a German citizen and he grew up in both German and French culture (German School of Paris, French-German School of Buc-Versailles, International School of Saint-Germain-en-Laye). Studies and Education: Mr. WOLFRAM studied an the University of PARIS 1 – PANTHÉON-SORBONNE and obtained the following diplomas : – Graduate Degree (Maîtrise) in Private and International Business Law (1992), - Postgraduate Diploma (Diplôme d’Etudes Approfondies) im Business and Corporate Law (1993), – Postgraduate Diploma (Diplôme d’Etudes supérieures spécialisées) im Foreign Trade Law (1994), – License to practice Law (Certificat d’Aptitude à la Profession d’Avocat) of the Ecole de Formation Professionnelle des Barreaux de la Cour d’Appel of Paris (1995). Professionnal Experience: Mr. WOLFRAM who has been working since 1994 as a business legal advisor and is admitted at the Paris Bar since1996 as Avocat à la Cour (French Lawyer). – in-house legal advisor with CREDIT NATIONAL -Department for Financing of Major Companies ; - associate with COUDERT Brothers – Corporate/Mergers & Acquisitions Dept. & Telecom Law Dept. ; - associate with S.G. ARCHIBALD – ARTHUR ANDERSEN – « “International Corporate/ M&A “and “Technology/ Telecom” Dept. ; - associate with BERNARD-HERTZ-BEJOT (German-French Law firm) in Paris ; - associate with HUGHES HUBBARD & REED in Paris; – manager with DELOITTE & TOUCHE in Paris, Corporate/ Mergers and Acquisitions Dept. and New Technology Dept. – Head of Legal and Business Affairs (Directeur Juridique) with the TITUS-VIRGIN Interactive Group (Paris, London, Los Angeles). 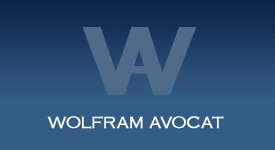 In October 2005 Mr. WOLFRAM founded WOLFRAM-Avocat. Various: As Mr. Wolfram is interested in African Business he participates as an International Legal Expert to major draft Law Articles regarding road construction and maintenance for an African State. Mr Wolfram is also co-founder of the OHADA Deutschland Club. 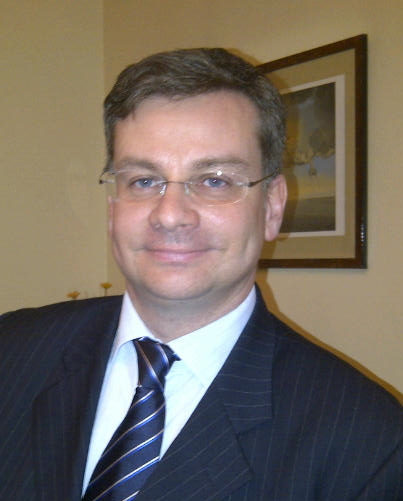 He assists his clients for their projects in French-speaking Middle and West-African countries. Arnd Wolfram is also co-author of a publication regarding (European) Investements in the OHADA-Zone. Mr. Wolfram is Expert with the French Institute of International Legal Experts (I.F.E.J.I). WOLFRAM-Avocat is member of the Legal Experts panel of the Invest in France Agency. Languages: Mr. WOLFRAM speaks fluently German, French, English and understands Italian.